The following links are to external websites over which the Normanhurst has no control - no liability for accuracy or suitability of these sites can be taken by the Normanhurst. They are included here for reference should you wish to peruse them for additional information. All links below will open in a new browser window if your browser and operating system permit it. Care Quality Commission - Link - The Care Quality Commission is the new health and social care regulator for England. They look at the joined up picture of health and social care. Their aim is to ensure better care for everyone in hospital, in a care home and at home. Our inspection reports are freely available to be downloaded and we invite you to look at them via the following links (which will open in a new window) to the CQC website: Residential Hotel, Nursing Home, EMI Home. Please be aware that these are the result of unannounced, unscheduled, spot-checks. 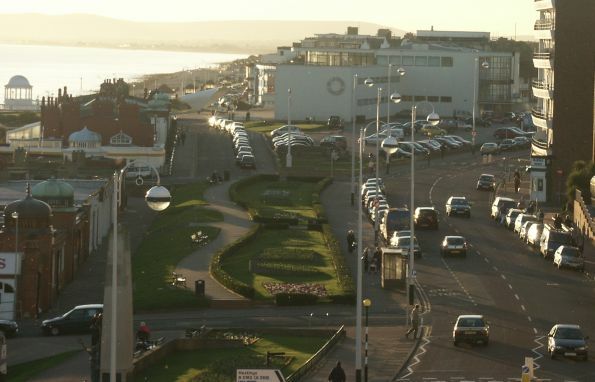 East Sussex County Council - Link - Local county council for Bexhill-on-Sea. CareHome.Org.Uk - Link - Website providing contact information on Care Homes, Residential Care Homes, Nursing Care Homes, and links to their web-sites. 1066 Country - Link - Local tourist information. De La Warr Pavilion - Link - "A Modernist icon for contemporary arts and architecture on the coast of South East England". Microsoft's Live Search Maps - Link - Free public access to Microsoft's Virtual Earth™ is via Windows Live™. We have several files for download available here. However, a selection of them is available below. Age Concern provides some useful advice on how to find a care home, funding and fees as well as other aspects of choosing a care home that's right for you here.